COBRA OnQue is intelligent COBRA administration software that helps manage COBRA by saving time and reducing the risk of making costly COBRA mistakes. It allows even the inexperienced COBRA administrator to comply with federal regulations by generating customized notifications, maintaining detailed recordkeeping, and automatically prompting the user to take appropriate and timely actions. It includes COBRAnswers™, the companion digital reference manual plus a glossary of terms. Together, these programs offer a complete COBRA compliance system that saves time while it ensures accuracy. COBRA OnQue is an easy to use and affordable COBRA solution. 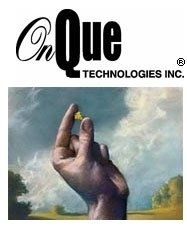 Note: The vendor profile above for (OnQue Technologies) is not written by Accounting Software 411. Information is provided and maintained by the vendor OnQue Technologies and/or by third party sources. Accounting Software 411 confirms basic company data prior to posting a profile. The above information is not a review or endorsement by Accounting Software 411 of the product.